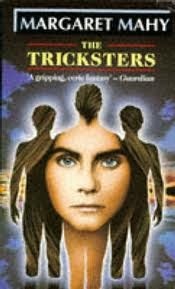 I'm reading Margaret Mahy's The Tricksters for book group. It deals with 17 year old Harry (Ariadne) and is set during a Christmas holiday at the beach, where Harry's family and their friends are visited by a trio of mysterious, powerful brothers - are they ghosts, or aspects of one long-dead man who drowned at the same beach? Or has Harry herself conjured them into being through the novel she is secretly writing? As I read this line, I felt an electric shock of recognition, for this lyric is, of course, a quote from 'Great Southern Land' by Icehouse. When I was eighteen years old, I was obsessed with this song, and indeed the entire Primitive Man album. I spent that summer living in a tent, at the beach, with two friends from school. I remember one evening when Jayne and Liza were both out at work and I had the tent to myself for a few hours of rare and precious privacy, I played that album over and over on my tinny cassette player, hitting the pause button every minute or so, to carefully copy down every word of the lyrics in the exercise book I was using as a diary, dreaming, and hoping for love, and experimenting with extreme emotions, just as Harry does. 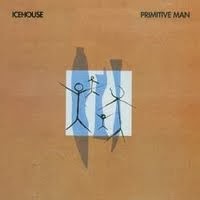 Primitive Man was released in 1982, The Tricksters published in 1986. Margaret Mahy could well have been writing it during that same summer when I was crouched in our communal tent, my ear pressed to the speaker and my pen poised over my exercise book, squeezing out the magic between Iva Davies' words and suffusing it through my own fevered imaginative life, in the same way that Harry briefly feels she is living her 'true life' in the pages of her secret novel. Sadly for me, that summer, there was no glamorous and uncanny brother to appear from a parallel world, fall in love with me, and make me feel beautiful and powerful for the first time. But I suppose there are limits even to Margaret Mahy's magic. I could see all those problems (things which didn't bother me as a ten year old, needless to say), but for me they were still outweighed by the sheer magic of the story and the imaginative power of the world that CS Lewis created. I was content to accept Susan being locked out of heaven for wearing nylons, if that meant I could have Reepicheep, the gallant talking mouse. All this is a long introduction to the confession that I've never read the Billabong books by Mary Grant Bruce. For many of my friends, these books were beloved childhood favourites, though everyone I spoke to hastily added something like, 'But they're very much Of Their Era' or 'They do have some... problems.' Which is shorthand for saying that they are terribly, old-fashionedly, unreflectively, racist. And because I've never read these books before, every 'sable countenance' and 'You tellee clammee, so dly up!' feels like being flicked in the face with a wet string. So there's that. But also, I have to confess, I'm just not finding the adventures of Norah and her chums all that enthralling. They go fishing, they have close encounters with snakes, they ride their horses. It's all jolly good fun, but there's not enough emotional journey to keep me hooked. Not yet, anyway. It's taking me a long time to wade through this particular Billabong. I've sworn myself to read at least two volumes in the series, to judge properly. But I take it up, I skim a page, I put it down. It's been sitting on the dining table for three days now. At this rate, I won't be finished for weeks. It turns out that reading at speed is not the only option, after all. Guiltily I lay aside my book, but not for long. She's right, I'm too addicted to stop. It's a gorgeous day. I walk down to Savers and return with a shirt, my quest for thin cardigans having proved unsuccessful. The friend and her dog have gone. I take my book into the window seat and demolish a few more chapters. 'We're due for the second murder about now,' observes the precocious 12 year old, and sure enough, a few pages later, there's an attempt on her life... But who would try to kill a 12 year old, however irritating? My children bounce onto me and force me to put the book down. We play a few rounds of the Eye Spy board game until outrageous cheating renders it pointless. Michael has offered to make dinner, and sets off for ingredients. I sneak in another few chapters while the kids are distracted. The chief suspects are arrested, but there's another murder... The lazy Sunday afternoon rolls by. I take the puppy out to the garden, fold the washing, help the girls gather flowers, grate cheese for dinner. It's TV hour. I demolish the final chapters while I'm eating dinner -- yes, I read at the table, get over it -- and put the book down with a sigh. It hardly seems possible that I've gobbled the whole thing in one day. But isn't that what Sundays are for? I leave the house in a hurry, on my way to meet an old friend for lunch at Mario's in Brunswick St (a trip down memory lane). The tram trip is not a long one, about twenty minutes in the middle of a weekday. The tram is almost empty. I choose a window seat and pull out my book, specially selected from the pile-beside-the-bed for its slimness and ease of slipping into my handbag. The tram sways and creaks down St Georges Rd. I know this route so well, I only need an occasional glance out the window to confirm how far we've come. A man boards, sits down opposite me, and pulls out a book of his own. Instantly I'm drawn to peep at the title, upside down on the top of the page, but it's in scribbly font and impossible to read. Later, when he momentarily closes the cover, I catch a glimpse: The Apothecary's (something). House, maybe? It's a VERY fat book; I would never lug a book like that onto the tram. If I'd wanted to bring a fat book with me, I would have chosen my Agatha Christie 1940s omnibus, because I'm still halfway through Towards Zero. Perhaps my fellow passenger can see that, in fact, I'm reading a kids' book. I don't care. It's Eight Days of Luke, by Diana Wynne Jones, which I'm reading for next month's book group. Our theme for the next meeting is Tricksters. I've read Luke before, it's a comfortable, fun read, clever and satisfying as all Wynne Jones' books are. I race through the chapters. 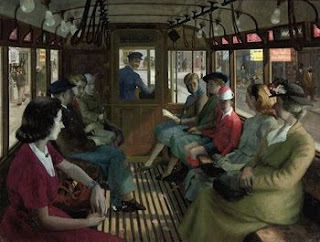 A tram ride is a bubble in time and space, carefree, without responsibility; nothing to do but read. It feels like a little pocket of luxury. Before I know it, we're in Brunswick St, and I have to scramble to disembark, thrusting my book back in my bag. I'm ten minutes early. Just enough time for a quick browse... in the bookshop, of course! It's Sunday afternoon, a sunny early spring day. I've dragged the old baby mattress onto the narrow back deck so I can read outside in comfort. I have a cup of tea beside me, and the radio is tuned to the football. I'm barracking for the Tigers to win, but I'm not really listening, and when the lead changes from Richmond being 32 points up, to the Blues ahead by two, I'm taken completely by surprise. The house is quiet. Somewhere inside, Evie is reading on her bed. Alice has gone to a party, and Michael has taken a break from mending the fence to ferry a group of twelve year olds from one venue to another. When I switch my radio off, the distant tinny echo of Michael's transistor carries to me from the bottom of the garden. I'm three quarters through A Visit From The Good Squad, by Jennifer Egan. It's a novel in interconnected stories, roving back and forth in time. This is one of my favourite structures when it's well done, and this is excellent. One of the stories is in the form of powerpoint slides; I resolve to show it to Evie, I think she'll get a kick out of it. The puppy whines at the back door, and I reach over to let her outside. She snuggles up beside me, her furry warmth against my leg where I'm propped along the mattress, and sleeps. I can hear kids' voices, drifting across the laneway from the school, the murmur of leaves, the brisk chatter of birds. The air is thick with tiny insects. A small spider creeps across my radio, and I flick it away with the tip of a dry leaf. The puppy sighs, and re-settles herself. I'm reminded of long-ago afternoons, sliding away, with a sleeping baby on my lap, not daring to move in case I woke her, but secretly glad of an excuse to stay still. The pages turn. Characters meet, and part, and reconnect, in lazy loops of story. At last I set the book aside, because I'm enjoying it so much I want to prolong the experience of being inside it. Soon Michael and Alice will come home, and Evie's and my own readers' peace will be shattered. Yesterday at my book group, we discussed time-slip, time travel and backwards-history books (When You Reach Me, A Wrinkle In Time and My Place), and I was surprised by the number of people who said that they didn't enjoy time-travelly stories. There were three particular books of my childhood, all timey-wimey in theme, which I think have influenced my taste as a reader and my ambitions as a writer. It was weird re-reading Madeleine L'Engle's 1962 classic, because despite its enduring reputation, especially in the US, I felt it didn't actually stand up that well. To begin with, I was annoyed by the cover blurb, which insisted on casting it as Charles Wallace's story, not Meg's -- which perhaps goes to show, the pressures of marketing to boys were around even in the 1960s! When I first read (and re-read) AWIT at about the age of ten, I was fascinated by the Big Ideas it contained - the tesseract, five dimensions, the power of faith and love to defeat the grey and banal (but still very frightening) face of evil. 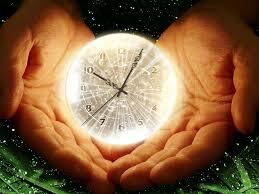 Time-slip mechanism rating: 1/10. Loses points because no actual time travel. By contrast, Penelope Farmer's 1969 time-slip proved to be rather better, on an adult re-read, than I'd remembered it. Charlotte wakes up in her boarding-school bed to find that she's swapped places with Clare, who lived forty years before (during WWI). This deeply eerie story takes seriously the possibility that they may not succeed in swapping back, and in one disturbing section, Charlotte finds herself doubting her own identity, slipping into becoming Clare without even realising what's happening to her. This is very scary stuff, and perhaps explains why I re-read CS sparingly as a child, though it always haunted me. It was only thanks to Penni Russon that I found out that Charlotte and her sister Emma also feature in two previous books by Farmer, both equally weird in their own ways, The Summer Birds (where children learn to fly) and Emma In Winter (where Emma enters a dreamscape which she realises is dragging her gradually backwards in time). I must have talked about TMG before, haven't I? I always credit this book as the single greatest inspiration behind my own Cicada Summer. 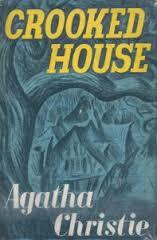 Though Philippa Pearce's beautiful 1958 novel is perhaps a little wordy for modern tastes, I read it over and over again as a 10 or 11 year old, spellbound by deeply satisfying structure and its detailed exploration. Tom, sent to stay with relatives in a big old house long since converted to flats, finds that when the clock strikes thirteen, he can open the back door and enter the original, sprawling garden of the house, seventy years ago. He befriends a little girl in this other time, Hatty, and they help each other combat their respective loneliness. At the end of the book it's revealed that Hatty is in fact old Mrs Bartholomew, who lives upstairs and has spent night after night dreaming of her childhood. The final scene, where she and Tom at last recognise each other and fly into each other's arms 'as if they'd known each other for years and years' still brings a lump to my throat.